Oxfordshire County Council has announced cuts to transport funding which would see the Dial-a-Ride service scrapped while putting 105 bus services across the county under threat. The council hopes to save £2.6m as part of a parcel of £6.3m savings being rolled out between 2014 to 2018. Taxpayers currently pay commercial bus companies £3.68m to subsidise bus routes which otherwise would not be economically viable to run. These include Stagecoach services between Chipping Norton and Banbury as well as another route between the Banbury and Stratford-on-Avon. A council spokesperson said these are used by 15 per cent of Oxfordshire’s bus passengers. It is not yet known which routes could be scrapped but the council says it will give priority to services running at peak times. The Dial-a-Ride service, which costs around £250,000 each year is to be axed and the council says it will be looking to the 62 independent community transport schemes already operating in the county to take a greater role in meeting this demand. The cuts come as council goes through the process of saving £290m by 2018. All transport services have been placed under the control of a single body as part of ‘efficiency savings’ which the council says will reduce costs by £3.7m. Cllr Ian Hudspeth, the leader of Oxfordshire County Council said: “We have already made big savings by running and funding services more efficiently, and have plans to do much more. Now we are left with no option but to reduce subsidies we pay to bus companies while pressing them to continue to run services. The proposals will go before cabinet at its next meeting on Tuesday, May 26. A consultation on the broad principles behind the changes is set to begin in June and ending in August. Banbury Citizens Advice Bureau is commissioned by Cherwell District Council to provide a volunteer car driving scheme serving 500 people across Cherwell district. 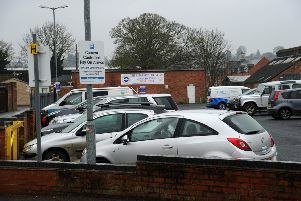 Barbara Shaw, chief executive officer at Citizens Advice Banbury said recent cuts had placed additional pressure on their service: she said: “There are lot of people from Cherwell area who are very dependent on the Dial a Ride service and they must be very worried about the possible loss of these services. So far £630,000 has already been saved so far this year, £2m in 2015 to 16, £2.1m in 2016 to 17 and £1.7m in 2017 to 18.